Our home here at Never Ending Food has been set up to use, promote and share ideas that are related to the principles of Permacuture and nutrition. Full credit needs to be given to Bill Mollison and David Holmgren for their development, introduction, and promotion of the Permaculture concepts. Due to thier efforts the world is now waking up to what many are calling a Silent Revolution. A quick search of Permaculture on the internet shows that there are now people in almost every country on earth who are practicing Permaculture. 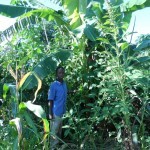 The Permaculture and nutritional ideas that we are highlighting on this website are the ones that we have been trying to use here in Malawi and that have specific importance for helping to solve many of Malawi’s problems. We are not trying to take credit for these ideas, but rather to help generate enthusiasm and support for approaching decades-old problems with fresh new solutions. This site is for informational purposes only, and all of the information may be used by others for any non-profit, educational purposes without need for consent from Never Ending Food. Originally, the word “Permaculture” was the combination of the two words “permanent” and “agriculture”. Two Australian men named Bill Mollison and David Holmgren coined the term in the 1970’s. It is an agricultural philosophy that allows us to use the resources that we have around us to their fullest potential. By observing and learning from our environment, such as how does nature replenish its soil, how does nature protect and conserve its water resources, how has nature adapted to the specific climate of an area, etc…we can learn how to imitate these natural processes in our daily living. The more closely that we can work with nature, the more likely we are to establish a balance which will provide us with the things that we need without hurting the environment. One of the founding fathers of Permaculture, Bill Mollison, has defined Permaculture as “the conscious design and maintenance of agriculturally productive ecosystems, which have the diversity, stability and resilience of natural ecosystems”. Many people who practice Permaculture now refer to the term as meaning Permanent Culture rather than just Permanent Agriculture. Permaculture looks at everything we do in life and tries to make it sustainable for many generations to come. Much of this sustainability is achieved by imitating what we see in nature. Organic farming does this with practices such as compost making, mulching, and Integrated Pest Management (IPM) These practices mimic what we see happening in forest systems and with human ingenuity we are often able to mimic these processes and even speed them up a bit. Organic farming is a part of Permaculture, but not the whole part. Permaculture is much more than an agricultural system, it is a system of living. The agricultural component of Permaculture tries to meet all of our needs as humans (i.e. nutritious foods, building supplies, medicines, fibers, etc.) by designing systems that mimic the way that natural systems work, such as those we see in forests. To achieve this, Permaculture uses a design tool known as a guild. Beyond agriculture, Permaculture also looks at many other aspects of living such as: how we design our living spaces, how we obtain and use our energy (both external and human), what we use for fuel, what we do with things that people consider to be “waste” (waste in Permaculture is just an unused resource), ethics, patterns, climates, eco-systems, community organization, money/barter systems, advocacy, global responsibility, and more. There are three ethics that we follow as Permaculturalists. These guide every single thing we do. If the whole world started with at least these ethics, the world would be a much better place! We carry out these ethics as efficiently as we can for the high impact possible. For this, we have principles, main points and then on deeper into the sciences to keep improving our designs. Here we will give an overview of the Basic Principles and Main Points. It seems that humans often try to make things more difficult than they need to be. It has been proven that legumes, compost, and organic matter all help to feed the soil free of charge, but we continue to research and pay for artificial fertilizers. We know that growing a variety of plants is one of the keys to healthy living. It allows us to improve our soil, protect our environment, and meet our nutritional needs. It also offers us a renewable source of things like medicines, building supplies, fuel, clothing, etc…And yet we often put all of our energy into clearing away large areas of natural diversity to make room for only one or two food crops. Our ancestors collected and used indigenous seeds, which are better adapted to the areas in which they grow, they are often pest and drought resistant, and best of all they are free—yet we still spend our money on foreign hybrids. We have also been shown that nature has ways of controlling pests and diseases, but we still prefer to purchase chemicals to do these jobs. Why? t seems that we often work overtime to struggle against nature. Each year during the rainy season, thousands of seedlings spring up from our soil. These plants, if allowed to mature, could be providing Malawi and the rest of the world with nutritious food, firewood, building supplies, and everything that we need for our survival. But instead of simply allowing nature to do all of this work for us, we waste our energy trying to get rid of these things. Through practices like burning, clear-cutting, monocropping, over-grazing and over-sweeping, we eliminate all that nature has given to us as a gift. Nature is a miracle that is taking place every day right outside of our doorstep. If we simply start working with this miracle, rather than against it, our rewards could be unlimited. The world is over-flowing with potential…Just let it grow! We can learn a lot from nature if we give it the chance to teach us. Since the beginning of time, generations of people have known this and used it to their advantage. The earliest sailors used the stars for navigation, the sky to predict the weather, and the behavior of animals to locate sources of food. Traditional healers from every part of the world have used observation of nature to show them plants that can heal us, and those which could harm us. If we take the time for these observations, we can see how every part of nature, from the smallest microscopic organisms to the largest plants and animals, all perform a specific function. Each of their individual roles is vital for the success of the whole. Permaculture advises us to make the most of these observations before we put our energy into something that might be working against nature, rather than with it. If we have made use of our thoughtful observations, we will be able to see that each element in nature, even though it may have a specific function, is probably carrying out many other functions as well. If we pay attention to these observations, we can utilize one thing for many reasons and drastically improve our lives and our environments. If we plant a mango tree, for instance, we know that it will eventually give us the nice juicy fruit that we love to eat. But if we look at this mango tree through the eyes of Permaculture, we learn to recognize all of the other functions that it will be performing. This same mango tree that we are planting for fruit will also give us: shade, medicine, firewood, and protection from the wind. Its leaves will break the force of the falling rain and give us organic matter for our compost piles. Its roots will help to hold the soil in place and bring up minerals from deep below the soil’s surface. Its branches will provide shelter for all sorts of birds, insects, and other wildlife. And then, on top of all of this, it will yield the delicious food that will give us nutrients that our bodies need to stay healthy and strong. If we take into consideration all of the mango trees functions, we can then decide where to place it or what to put near it to make use of the most of its uses. When we start to look at nature in this manner, we can see that we have all of the resources that are necessary to sustainably meet our needs for long into the future. 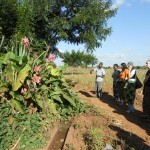 As human beings, our connection with nature is an essential component of Permaculture. For some reason, we often think of ourselves as somehow separate or above the laws that govern all of nature. This type of thinking has isolated us from the very roots of our existence. As soon as we place ourselves back into the cycle of nature, it becomes clear that whatever we do to this cycle will have an impact on our survival. If we strengthen and nurture it, it will yield rich rewards for our future, but if we continue to take away from this cycle and weaken it, the outcome will have devastating results. Life truly is a web, of which humans are only one strand. If the strands of this web are weakened or broken it will no longer be able to support itself. On the other hand, if we do everything in our power to replace, mend, and reinforce the strands of this web it will mean a better future for the entire planet. Nature comes equipped with checks and balances. It has methods of controlling diseases, regulating its population, and healing itself. If we upset this balance, we often end up creating many unforeseen problems for ourselves. The deliberate extermination of one insect that may be causing damage to our crops can have disastrous results. It may be that the so-called “pest” we have decided to eliminate is responsible for keeping the population of even more harmful insects under control. Or perhaps, that so-called “pest” is an intricate strand in nature’s web that other animals depend upon. This was the case that we tragically learned in America through the use of an insecticide known as DDT. The insects that were eliminated through the use of this chemical were part of a larger food chain. The contamination of this food chain eventually resulted in bringing the national symbol of the United States, the American Bald Eagle, close to extinction. Traditional cultures, such as we find in Malawi, sustained countless generations of people primarily through observation of nature. These observations were used to learn the best way to use each plant or animal to their fullest potential and to meet the needs of the community members. Finally, this knowledge was shared by passing it on from grandparents to parents to children for hundreds of years, all the while evolving as people learned more about their resources. From this knowledge in Malawi we can now list close to 600 different foods from plants and animals that can be used to assist in attaining true ‘food security’! There are also countless medicines, dyes, fuel sources, fibers, building supplies and more that we can be incoporating into our designs for a sustainable solution. Permaculture encourages us to protect these resources and to continue to observe and learn from nature and our ancestors, then to share our knowledge and experience with others. Today, however, due to families being more mobile, school curriculums that don’t emphasize this type of knowledge, and even a tendency by younger generations to look upon this knowledge as somehow “backwards”, we are in danger of losing a great deal of valuable information. Even well intentioned foreign aid programmes have contributed to this in part. In the past when people were faced with difficult times they were able to turn to traditional knowledge for survival skills. The older people knew which plants and animals were edible, and which plans held stores of water. Now, after shipments of foreign food aid have been used in situations like this, people no longer turn to this traditional knowledge. So, if this knowledge is lost and food aid fails to come through, it could potentially spell disaster for entire communities. Once this knowledge has been lost, we have to start all over. It is very easy to get caught up in problems. How many times have you been with a group of people and the discussion ends up being focused on problems? When you leave the conversation you end up feeling dragged down, depressed, or with the thought that very little was accomplished. Problem identification is not necessarily a bad thing, and sometimes it may even be an essential step in looking for solutions. But, it is when we get locked into only seeing the negative side of things that problems actually become the problem. Permaculture is about seeing solutions. It is about looking into all the alternatives and working towards a sustainable future. As much as possible when discussing Permaculture practices, we try to avoid seeing things as problems and focus our attention instead on the solutions it offers us. There is a famous quote from one of the founders of Permaculture, Bill Mollison, that goes: “You don’t have a snail problem, you have a duck deficiency.” This seems to sum up the Permaculture philosophy very well. What once may have seemed like a dilemma may now have a simple solution when seen through the eyes of Permaculture. Before we do anything in Permaculture, we try to think it through in terms of its entire impact. How many different functions will this serve? What will its impact be on the surrounding area? Is it compatible with the other elements around it? Is it being used to its fullest potential? Does it fit with what we have learned from observing nature? How can we plan ahead to grow or get all the foods, medicines and other supplies we need? As one example of thinking ahead, in order to have a variety of foods to eat we need to have them available to us. When you learn about the foods in Malawi, you will find that there are so many foods that if you utilized even a quarter of them, we would have no hunger or malnutrition in Malawi. Once you have learned about these foods you can plan to get these foods around your home and work place so everyone can have good nutrition all year. The little bit of time that it takes to think ahead can save a whole lot of time and energy later on. There is a carpenter’s proverb that says, “Measure twice, cut once.” This type of planning ahead will reduce the amount of work that we put into something in the first place, and increase what we will get out of it in the end. If we put all of our efforts into thoughtless labor, we are simply creating more work for ourselves—time which could have been spent enjoying a quality life with our friends and family. At first glance this may seem the same as “think ahead”, but there is more to it than that. When we attempt to see the whole picture, thinking ahead is only part of the process. This is the step where we see how everything is connected, and how these connections impact everything else. Every small piece of the Permaculture puzzle eventually fits together to create one big interconnected picture that is alive, flowing, and pulsating with a rhythm of its own. Without each of these individual parts performing their specific functions, there would be no whole. Anybody that has sung in a choir may have had the opportunity to experience this. A choir is made up of four sections—bass, tenor, alto, and soprano. Each of these sections diligently rehearse their specific parts and make them sound good, but it isn’t until all four sections are put back together that we end up with a fifth section. This fifth section is the “whole”. It is the culmination of the individual parts interacting, supporting each other, enriching one another, and taking on a life of its own—it is music. Another example of the whole picture is evaluating good nutrition. To do this, we can’t look at just one food or one meal, we need to look at the general pattern of eating, the whole picture. In Malawi we often hear that soybeans are a ‘good’ food and many people feel that eating soybeans means that they will have good nutrition, but this isn’t necessarily true. If you eat only soybeans your nutrition will be poor, but if soybeans are part of a balanced diet with a variety of other foods, then your nutrition is probably good. The same goes for foods like sugar candies, which are often labeled as ‘bad’. This also isn’t true. Again, you have to look at the whole picture—are the sugar candies included as part of a balance diet? Or are you just eating sugar candies and not eating a balanced diet of other foods? There are no ‘good’ foods and there are no ‘bad’ foods—it is how we balance all our foods that will tell us if we are having good nutrition or not. 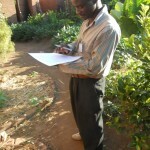 Let’s look at an acre of land in Malawi, what are we planting? Right now in Malawi people usually plant just maize because it is a high yielding crop, but what is the whole picture of this system? We need to look at more than just the yield of a crop to determine the whole picture, let’s look at energy, money, insects, weather, soil health, harvest times, and nutrition of two different acres of land: an acre of maize and an acre of Permaculture crops. Acre of only maize: To get a high yield from a field of only maize requires a lot of human energy for tilling every year, money for seed, fertilizer, pesticides, and adequate amounts of rain. If the rains are poor or an insect that enjoys maize comes to this acre, then our yield of maize is drastically reduced. Planting maize over and over again on this same acre and burning the leftover organic matter will reduce the fertility of the soil and increase the chance for maize diseases in the soil. In addition to this, this maize is only harvested one time each year and is expected to last for 12 months until another harvest is ready. Furthermore, the nutrition that comes from this acre of land will only provide our bodies with a few of the same nutrients over and over again. Permaculture acre of crops: If we take that same acre of land and plant some maize, some other grains, root crops, legumes, vegetables, and oil seeds and especially some permanent food trees and plants, what is the whole picture now? Now we have a system that can withstand various types of weather and insects because some of the plants will do fine even if the rains are poor and the insects will have a harder time searching for foods that they like. Next year if we add all the leftover organic matter back to the soil and continue planting mixed crops, the soil on this acre of land can improve. We will be using less of our energy every year with some permanent foods in place and saving our money instead of spending it on fertilizer and seed. With mixed planting spaces every year, soil diseases will be less likely to build up in the soil. With mixed crops we can harvest foods during many months, which will improve our overall year’s food supply and spread out the work. We will also be providing our bodies with many nutrients instead of just a few. For ease of comparison this can be put into a chart. Nearer to the end of the course, this can be done as an activity where the group comes up with the comparisons for themselves. Energy Inputs Hard work every year with re-planting, hoeing, weeding several times, adding chemicals Less work every year because of permanent crops, lots of mulch, and improving soil. A lot has already been said about everything being connected to everything else, but Permaculture puts a special emphasis on how things cooperate, rather than compete. On the surface it may look like all of nature is locked into one big competition for survival. Larger insects eat tiny insects, small animals eat larger insects, birds eat small animals, etc…When actually this is all part of nature’s method of cooperation. Without this process of checks and balances the world would be overrun with only a few of the most aggressive species. One small insect that can cause damage to plants, the leaf-hopper, has the ability to multiply to over 500,000,000 in one year. If this happened, we probably wouldn’t have many plants left on the planet. Fortunately, nature has balanced itself by including other insects that feed on the leaf-hoppers. If we took away this natural form of cooperation, then we truly would be locked into a competition for our survival. Humans are not removed from this web of cooperation. If we read modern agricultural literature, it would lead ont to believe that humans and nature are practically at war with each other. There are numerous quotes that talk of “natural enemies of humans”, “devastating predators”, “harmful pests”, and “threatening weeds”. We drop tons of chemicals from airplanes, we have people walking through fields with gas-masks and sprayers, and we spend millions of dollars for researching new methods of elimination. If we stop for a moment, however, and place ourselves back into the cycle of nature we begin to see that these “threats” are not so threatening. They are simply a part of the natural process. If we begin to look at cooperating, instead of competing, we can start to see these natural balances. Once we acknowledge that everything works together, we have made the first step toward ensuring our survival. Our bodies are a good example of nature working together and cooperating to get its job done. As we talk about the foods we eat and the nutrition that we get from those foods we will see that our bodies combine many different parts of the food to help us be healthy and live. Our bodies need all the nutrients to be healthy. There is no one nutrient that is more important than another—they all work together to complete their tasks. After the harvest we shell the maize. Next we pound it. Even if we aren’t using our energy to pound our maize at home, we use our energy to carry it to the grinding mill where we spend our hard earned money to have a machine grind it for us, which requires precious fuel. Next we remove the bran and germ by sifting or winnowing, which takes our energy and time, but also removes most of the nutrients. After the maize is pounded and the bran is removed, we soak the maize for several days. Then we separate the water from the maize and put the maize out on a mat to dry. Next we pound it again (at home or to the maize mill). Lastly, we put it out on a mat in the sun to dry again. Finally the flour is ‘ufa woyera’! This process takes a lot of our energy, time, and fuel while at the same time removing the nutrients. Instead of this lengthy process we would be much more efficient to just shell the maize, pound it, and then eat it as ‘mgaiwa’ which takes less energy and time but gives our bodies more nutrients. It is even more efficient to eat the maize off the cob! We are now starting to get a better picture of how working against nature ends up creating a lot of needless effort on our part. By ignoring the lessons that nature has to offer us, we spend our valuable energy in thoughtless labor. Permaculture is constantly striving to minimize our inputs, in terms of energy, money, and time while at the same time creating a healthier and more sustainable environment for us to live in. One of the ways that we can do this is to simply allow nature to do the work for us. Throughout this manual you will find numerous ideas of how this can be done. It can be as simple as letting a chicken turn and fertilize your soil, while at the same time controlling your insect population as it is pecking around and eating them; or as complex as using the sun and the wind to pump your water and generate electricity. Nature is full of potential for giving us everything we need in order to live long and fulfilling lives. Best of all, it can give it to us all for free if we simply learn to understand it, work with it, take care of it, and allow it to work for us.